Melt chocolate chips. When chocolate is smooth, stir in coconut, then drop tablespoon-sized nests into mini paper muffin cups. 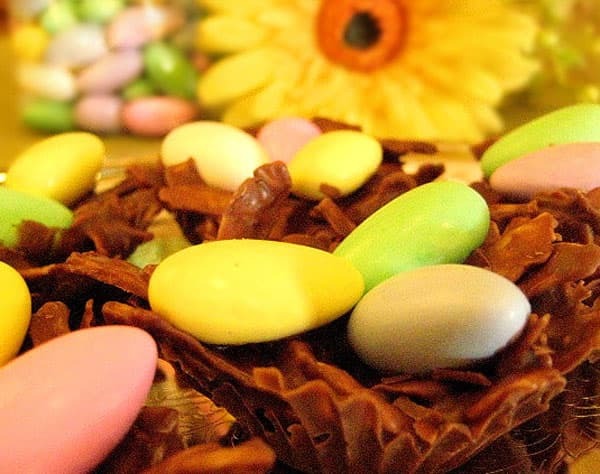 While nests are still warm, add Stewart & Jasper Jordan Almonds in the center and push down. Let chocolate harden, remove nests from muffin cups, and enjoy!